The Deepblu COSMIQ+ quickly became a firm favorite for many recreational divers, as well as free divers. 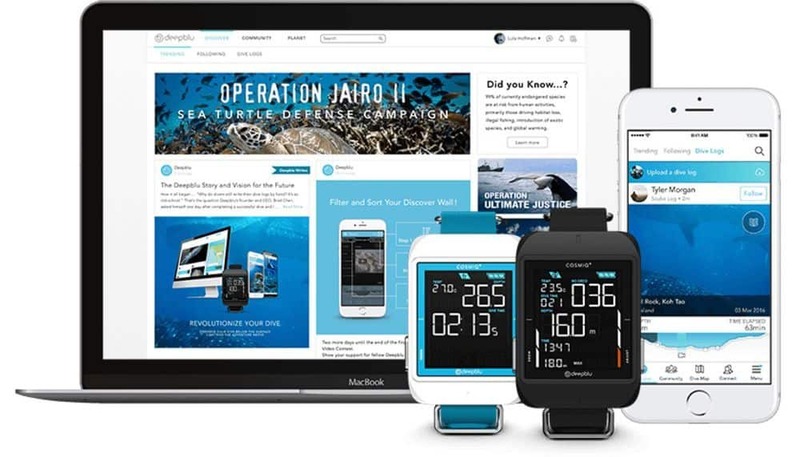 The COSMIQ+ is currently the only affordable diving computer that comes with wireless Bluetooth connectivity and comprehensive mobile dive logging. In this review, we look at its functions and the social connectivity side of this very popular dive computer. 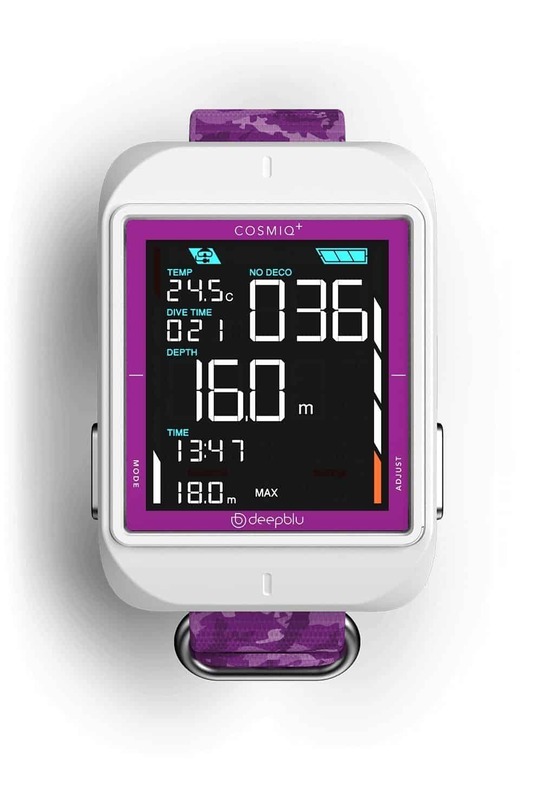 If you already know that the Deepblu Cosmiq+ scuba dive computer is for you, click on the button below to see the current price and any discounts that may apply on Amazon. Click on the link in the table below to take you to the answer of your most pressing question, or continue to scroll to read the entire Deepblu Cosmiq+ review. Deepblu Cosmiq+ - What's included? What's the difference between the Cosmiq and the Cosmiq+ ? How big is the Cosmiq+ Dive Computer? Why is the LCD Screen display so good? Is the battery of the Cosmiq+ rechargeable? What about Warranty and General Maintenance? The COSMIQ+ dive computer is designed for recreational divers only, Do not use this as your primary dive computer if you intend to do any Technical diving at depths greater than 130 feet or 40 meters). 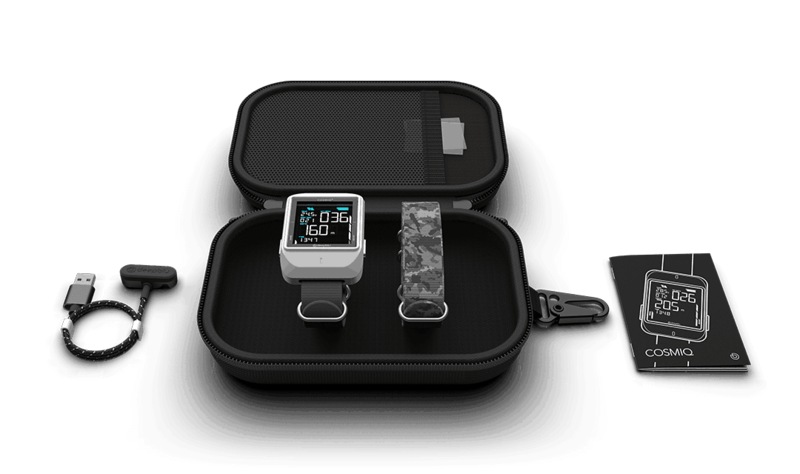 The COSMIQ+ comes with the base unit and carry case, a Nato Wrist strap and a Dry Suit Bungee Cord. The charging cable is also included along with 2 x anti-glare screen protectors, and a Quick Start User Manual. The COSMIQ+ is mostly a refresh of the original COSMIQ. 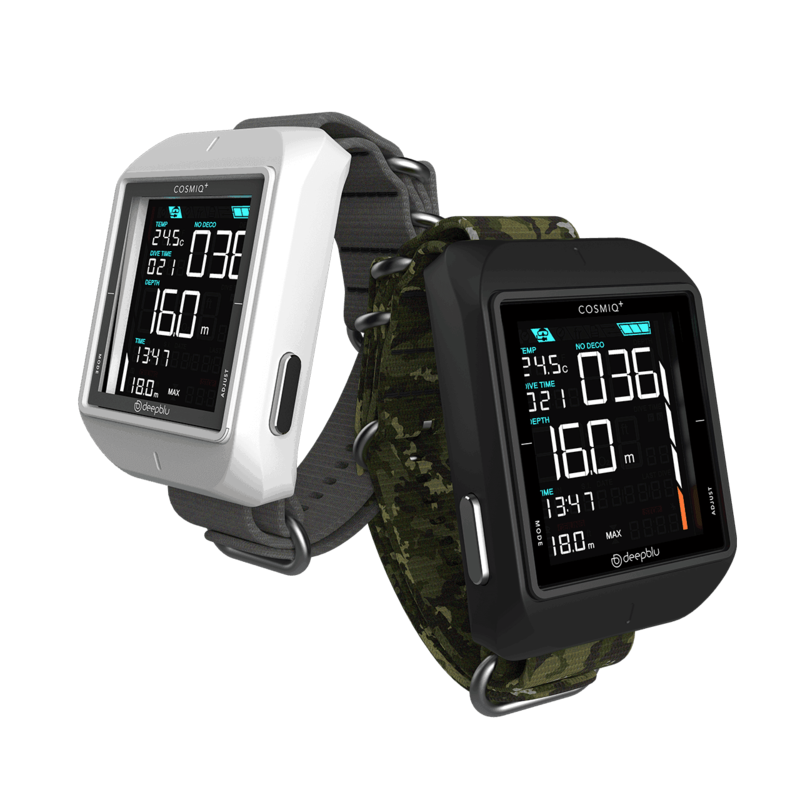 The COSMIQ+ comes in a greater range of colors, and the Gauge Mode has been replaced with a Bottom Timer. This gives the average depth and a secondary time reading. Everything else remains the same between the 2 models. This stylish dive computer is both compact and lightweight. The housing is a Fibreglass-reinforced polycarbonate and weighs 2.86 ounces (or 81 grams). It measures 2.78" x 1.91" (70.6mm x 48.6mm) and a depth of .82" (20.9 mm). 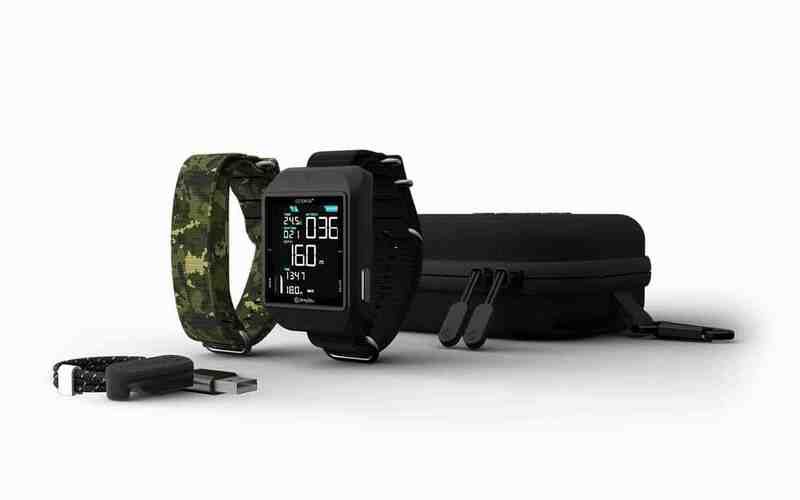 The Cosmiq+ comes with a NATO wristband with stainless steel buckles and a velcro fastener. 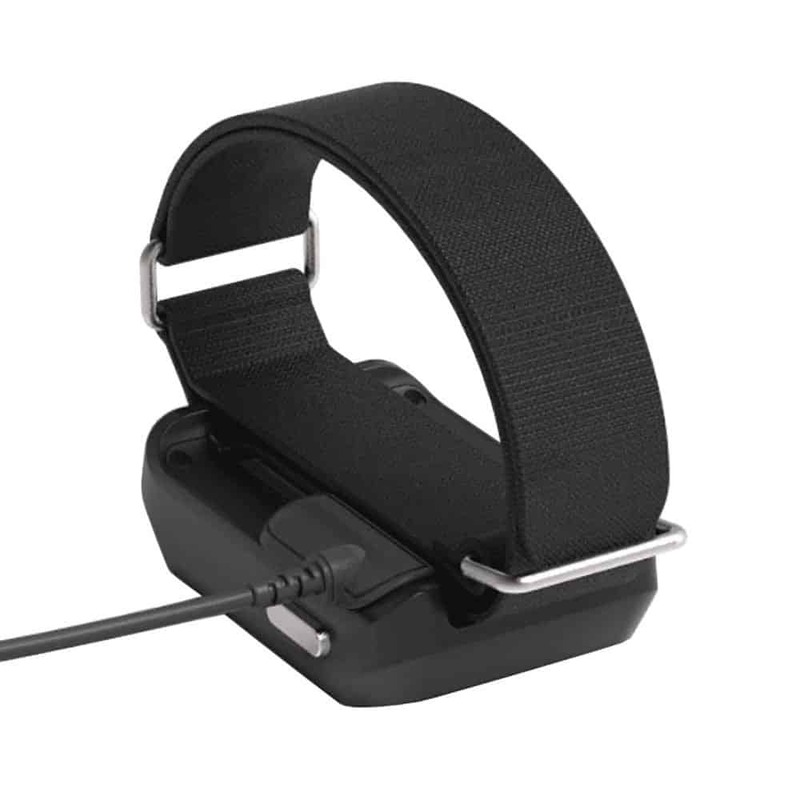 This gives you the option to wear it either on your wrist or attach it to your BCD. The Cosmiq is big in comparison to the Suunto D Series of watch sized dive computers. Unless you wear big, over-sized watches regularly, you'll probably find this too big for an every day watch. COSMIQ+ comes with wireless Bluetooth connectivity compatible with iPhone and Android smartphones. The Bluetooth interface is the only way to access most settings with the gas mix being the only scuba setting adjustable on the Cosmiq+ itself. The Deepblu app is well organized and easy to use. Firmware updates are simple. Updating firmware generally takes between 7 to 12 minutes depending on your handset. Both the dive computer and the phone need to be switched on, so make sure there is plenty of charge on both units before starting an update. 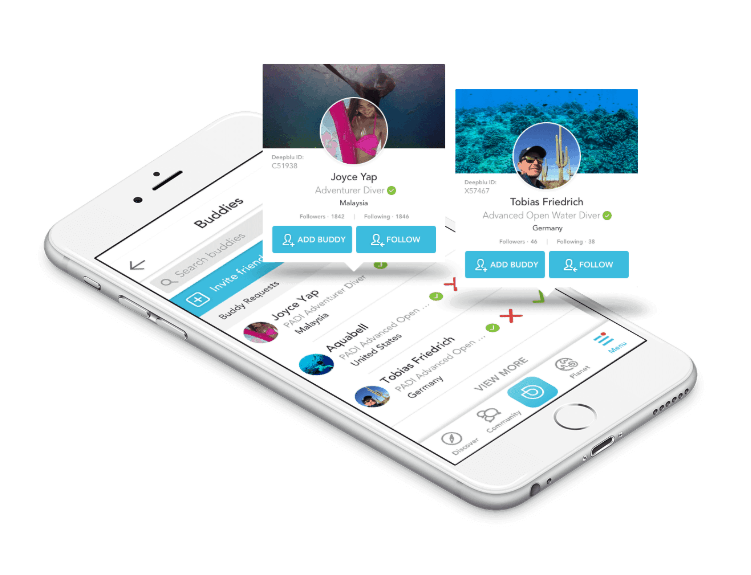 The dive computer synchronizes wirelessly with the Deepblu App, making it easy to create and share digital dive logs in the Deepblu social community and across other social media. Deepblu’s digital dive logs breathe new life into the old-fashioned logbook by enriching them with your photos, videos and story. 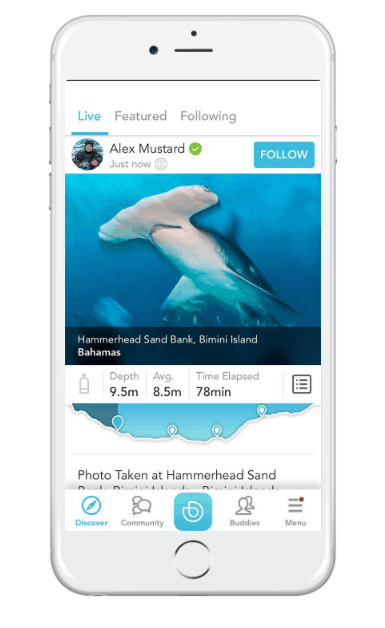 Using time data embedded in your photos and videos, the App pinpoints each visual on the timeline of your dive. This makes it easy and fun to add a story, tag your buddies, and have your instructors validate these online. There's also the option to tag and rate dive sites using the interactive dive site map. The COSMIQ can be paired with multiple Bluetooth-enabled devices. The video below explains a little more about this dive computer. Even in the deepest depths, the information is displayed with amazing clarity. A quick glance at your COSMIQ+ is all you need. 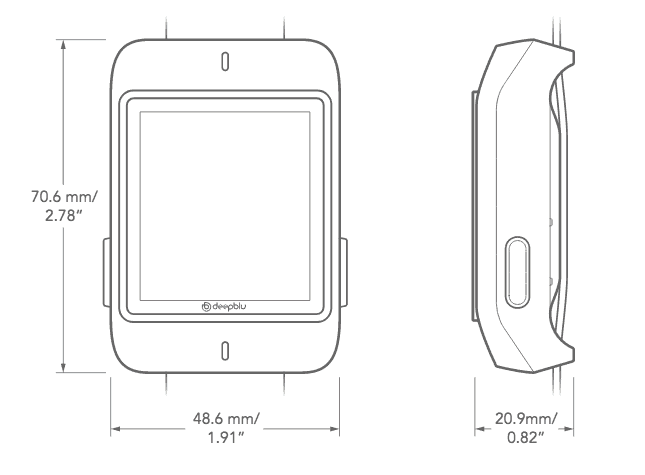 The COSMIQ+ has a 2.2-inch high-contrast LCD screen with pixel-less EBTN technology. LCD EBTN technology is one of the best negative image, high contrast displays available. This display has a very dark background with low light leakage giving it a very wide viewing angle and wide operating temperature. Watch Mode is the default mode for COSMIQ+. The time and date are displayed along with the battery level indicator. The dive computer goes into Standby after 20 seconds of inactivity in this mode. Watch Mode is where you access the Dive Plan function. The Dive Plan function allows divers to plan out dives in advance, taking into consideration residual nitrogen levels between dives. 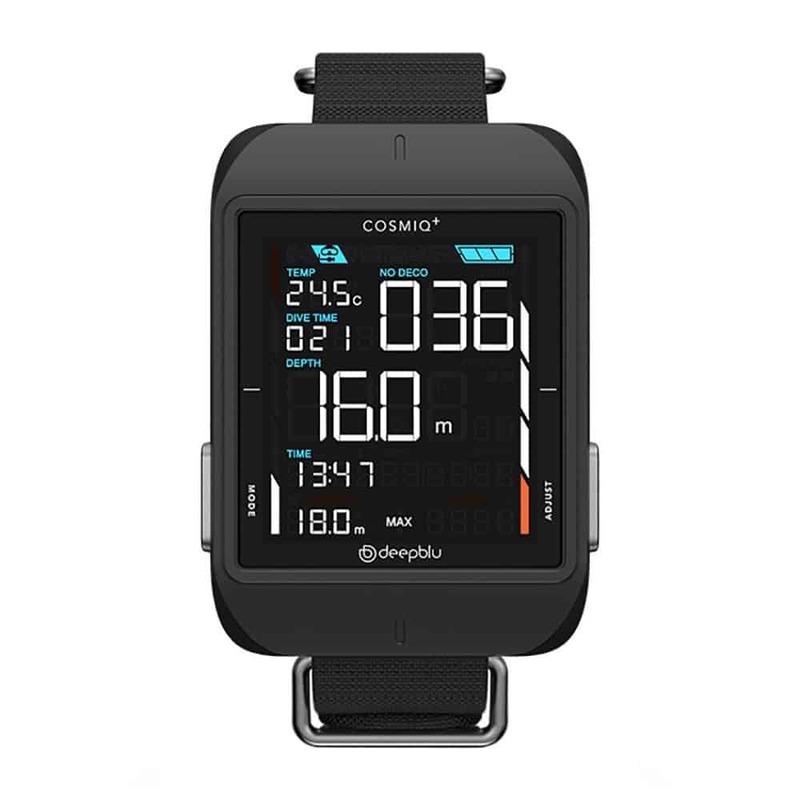 During Scuba Mode, the COSMIQ+ measures and displays all vital dive data and performs decompression calculations for Standard Air and Nitrox dives. 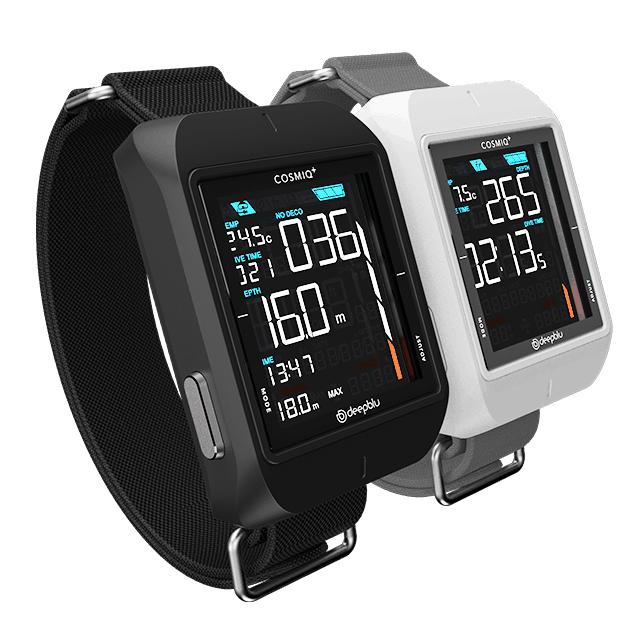 It also monitors ascent rate and determines required stop times. 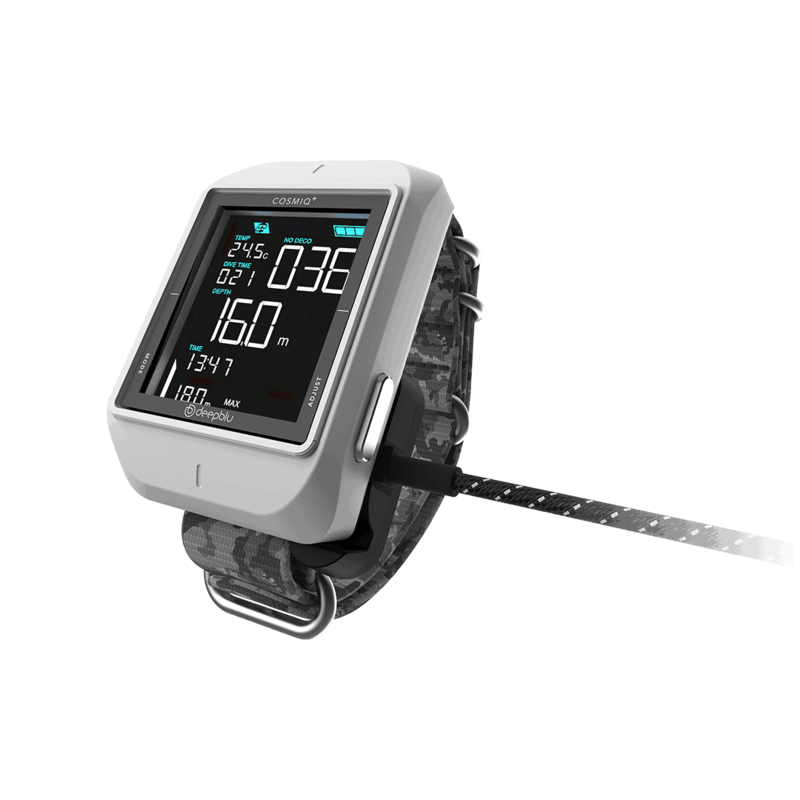 It measures current depth, dive time, water temperature. This screen will show your dive settings before starting a dive. Oxygen levels between 21% and 40% can be set, as well as depth and time alarms. 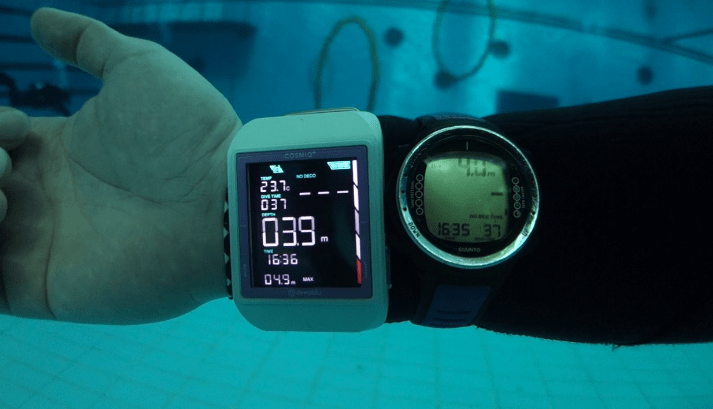 Bottom Timer Mode will measure current depth, average depth, continuous dive time and stage time. Average depth and stage time can both be reset with the press of a button. The Time Alarm setting can be manually adjusted. An alarm from 30 seconds to 10 minutes can be set to sound once you reach a certain dive time. Up to three Depth Alarms can be set to sound once you reach a certain depth. These can be set from 15 feet to 240 feet (5 meters to 80 meters). Depending on your location, you can set COSMIQ+ to Sea Level or Above 300 meters/1000 feet. The default setting is Sea Level. The display can be set to show either metric or imperial settings depending on your personal preference. The time settings can formatted to either 12 or 24-hour display. A 3-minute safety stop should be taken between 10 to 20 feet (3 to 6 meters). The COSMIQ+ is programmed to automatically include a safety stop at the end of each dive. If you dive between 20 to 30 feet (6 to 9 meters) for less than 10 minutes, or if you don't go deeper than 20 feet (6 meters), COSMIQ+ considers this a shallow dive and won't count in a safety stop. Once you exceed 30 feet (9 meters) the dive computer will include the safety stop once you reach a 20 feet (6 meters). The Cosmiq+ has a minimum Surface Interval time of 5 minutes. If you commence a second dive before the 5 minutes is up, the computer will consider this consider this a continuation of the previous dive and the calculations will continue from where they left off. Any descent following 5 minutes elapsed on the surface, will be considered a new dive. The decompression algorithm is based on the calculations of the Bühlmann ZHL-16C model. It has 3 different safety factor settings - Conservative, Normal and Progressive. COSMIQ+ sounds an alarm when you are near the no-decompression limit (NDL). The alarm starts 3 minutes before the no-deco limit is reached. It then sounds every minute until the no-deco limit is exceeded. In the event of exceeding the no-decompression limit, information is displayed to guide you through performing a mandatory decompression stop. COSMIQ+ dive computer comes with a lithium-ion battery which is fully rechargeable. Fully charged, the battery will last 6 to 7 hours of continuous dive time. The COSMIQ+ is charged by connecting the magnetic USB cable with the gold-plated contact points on the bottom of the COSMIQ+. Plug the USB charging cable into any standard USB (Type-A) port. The battery power indicator that lets you to track the amount of battery power at all times. The Cosmiq+ will need charging before you use it for the first time. The COSMIQ uses top-grade battery cells that retain their full capacity for at least 500 full charge cycles before gradually diminishing in capacity. After this time and when the battery starts to diminish in capacity, it will need replacing by an authorized dealer. Don't attempt to replace the battery yourself, as this will void its warranty. 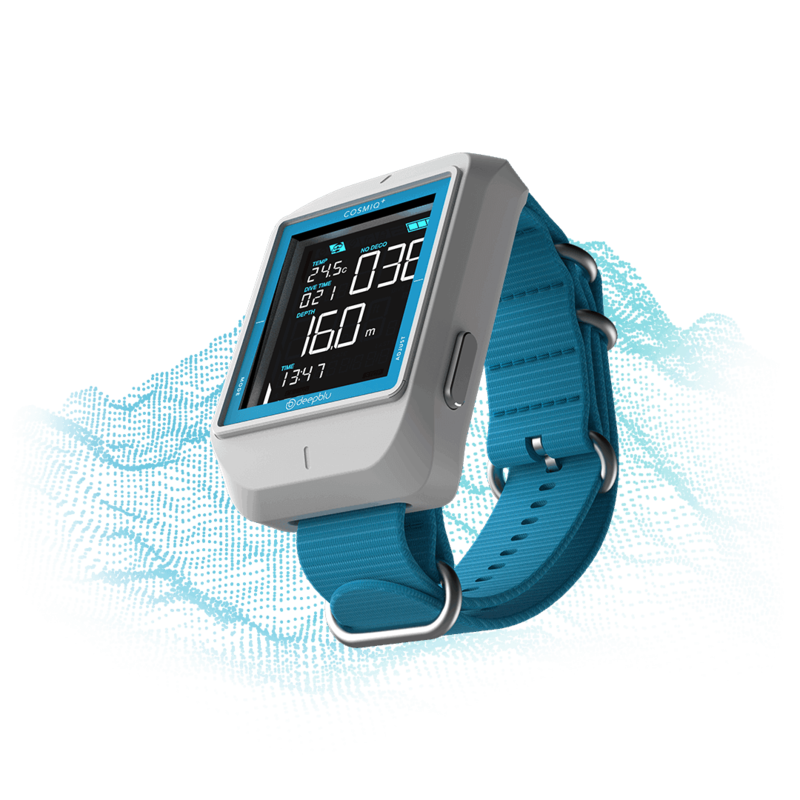 The Deepblu COSMIQ+ Dive Computer comes with a Limited two-year global warranty. 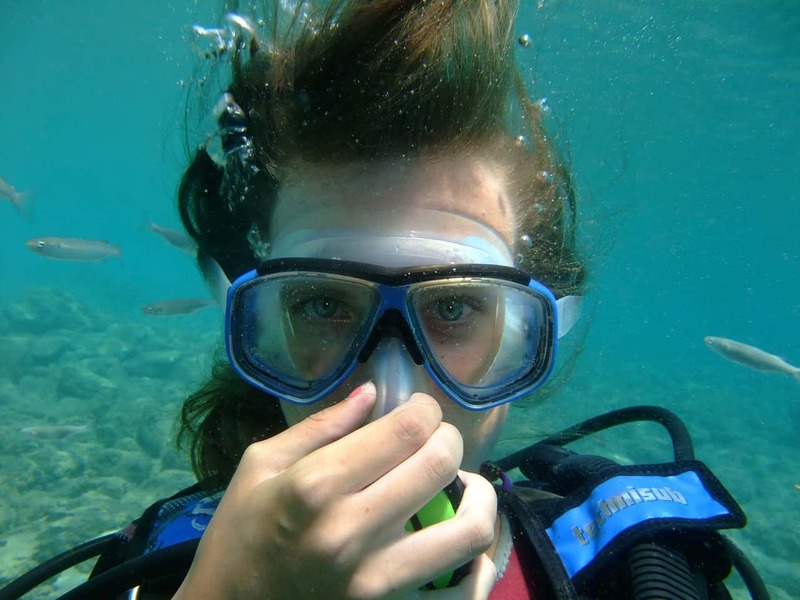 The warranty does not cover dive computers used for commercial or rental purposes. 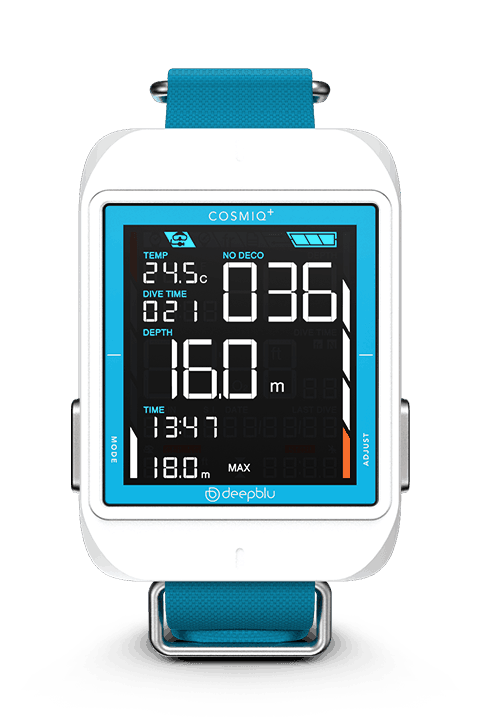 The warranty period begins on the day the COSMIQ+ dive computer is first activated by syncing with the Deepblu App. The warranty covers manufacturing defects, and faults in design and workmanship. Deepblu will replace a defective COSMIQ+ Dive Computer with a new or refurbished unit during the warranty period. They have a strict no refund policy. As with most other dive computer manufacturers, the warranty doesn't include battery depletion or normal wear and tear, improper use or handling, negligence, alteration, accident or any unauthorized repairs. To keep the dive computer performing as its best, have it serviced at an authorized service center every 2 years, or after around 200 dives. A standard service includes a general operational check and a water resistant check. Dive computers need to be treated with the proper care and respect. Take extra care not to knock or drop it, and protect the it from shock, extreme heat, direct sunlight and chemicals. After using in salt water, always rinse in fresh water. If it's covered with ocean grime, soak COSMIQ+ overnight in fresh water. If you find salt deposits on the dive computer, use warm water. After washing and drying, store it in its carry case, in a dry place. COSMIQ+ dive computer is a great dive computer for most beginner and recreational divers. There are a couple of considerations that need pointing out. The algorithm is conservative compared to other dive computers, so if you're a diver who dives close to Deco limits or does a lot of deco diving, then this is NOT the dive computer for you. The Safety Stop is displayed as small numerals so if your eyesight isn't the best or you need reading glasses, you may have difficulty reading the time on the screen. If you don't think this is the dive computer for you, an alternative worth looking at is the Suunto Zoop Novo, or our Pick of the Best Dive Computers. COSMIQ+ Nitrox dive computer is a great dive computer for recreational scuba divers at an affordable price. The bluetooth connectivity puts it well ahead of its competitors. Having a fully rechargeable lithium-ion battery takes the worry out of switching batteries or returning it to a dive shop to change the battery. This is a great dive computer for anyone who enjoys sharing photos and diving adventures on social media. 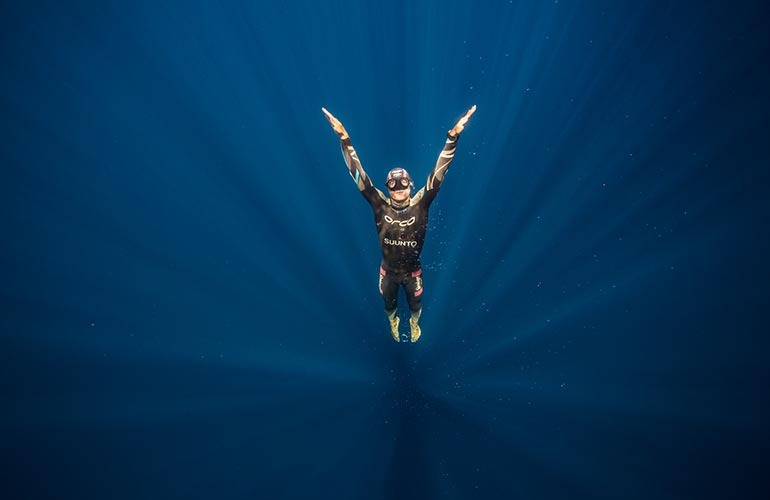 In February 2017, Suunto released a dedicated D4F dive computer for Freediving. 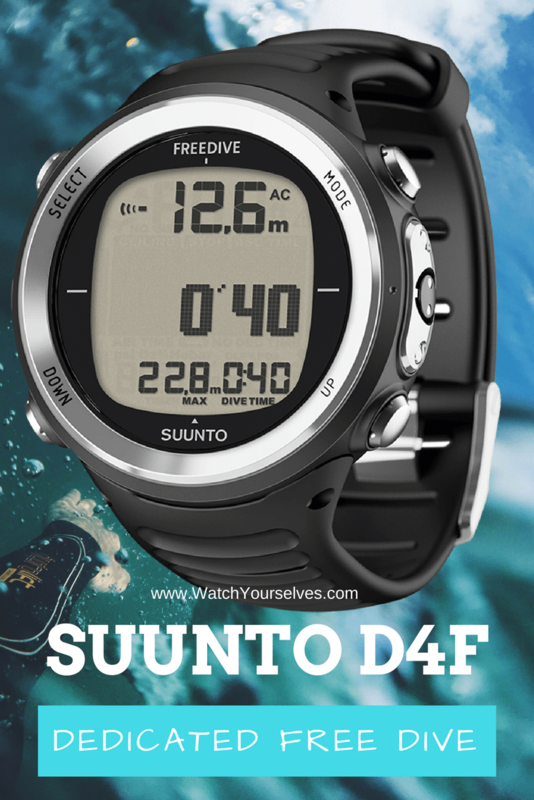 Click the link here to read in more detail about the features of the new Suunto D4F Free Diving Dive computer.